Law school presents a whole new world of information and ways of thinking. Law students have a lot of knowledge and experience to gain. Yet, they also have a lot to give. One way they can do both is by getting involved with student legal clinics. Law schools have legal clinics that provide legal help to people in the community. Through these clinics, students provide public legal information, advice, and representation, all supervised by lawyers. These clinics are supported by the law schools and Legal Aid Ontario, and the close to $2 million in funding provided by The Law Foundation of Ontario to Ontario’s law schools. Many law schools also set up specialized clinics to respond to specific needs in their communities. For example, Queen’s Law operates an Elder Law Clinic to provide tailored legal services for seniors in the Kingston area. Lakehead University’s Bora Laskin Law School runs a satellite clinic to provide general legal help to people living in rural and remote areas outside of Thunder Bay. At Western University in London, Western Law’s Community Legal Services, in partnership with Pro Bono Students Canada and Community Law School (Sarnia-Lambton), created the Eviction Prevention Program (EPP) as a direct response to students and community members coming to them in desperate situations, often facing homelessness. Since the EPP began in 2012, five to eight students have assisted about 20 tenants per year. Approximately 90% of these tenants are able to settle with the assistance of the students. Under the direction of clinic lawyers, the students help their clients to understand their legal rights, negotiate with landlords, and provide representation at the Landlord and Tenant Board. Using the law to help people uphold their rights is important to Annie Legate-Wolfe.  Annie is a third year Western Law Juris Doctor student. She is also an EPP team leader and student supervisor at the clinic. In her role to date, Annie has successfully negotiated to have all of her EPP clients remain within their rentals, if they chose to do so. Annie explains there are many reasons a person may face eviction, such as late rent payments, too many people in a unit, or alleged criminal acts. Sometimes the reason is a lack of understanding between tenants and landlords. That was the case with one of Annie’s files last summer.